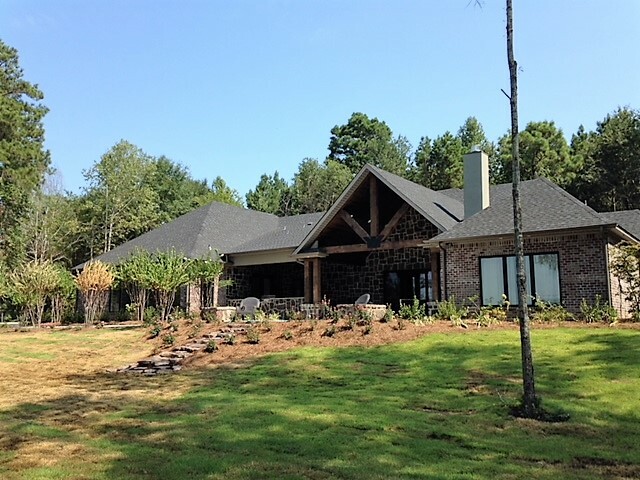 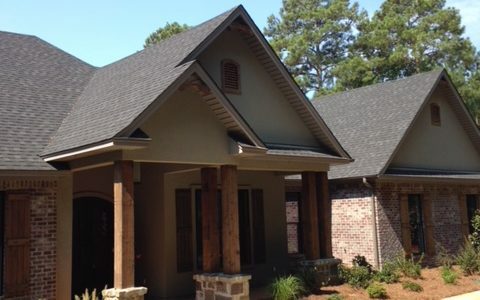 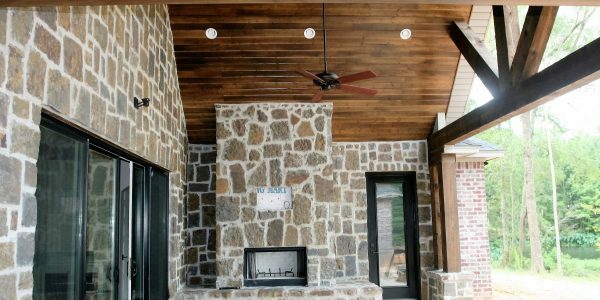 This home on Caney Lake showcases beautiful exterior and interior stone work. 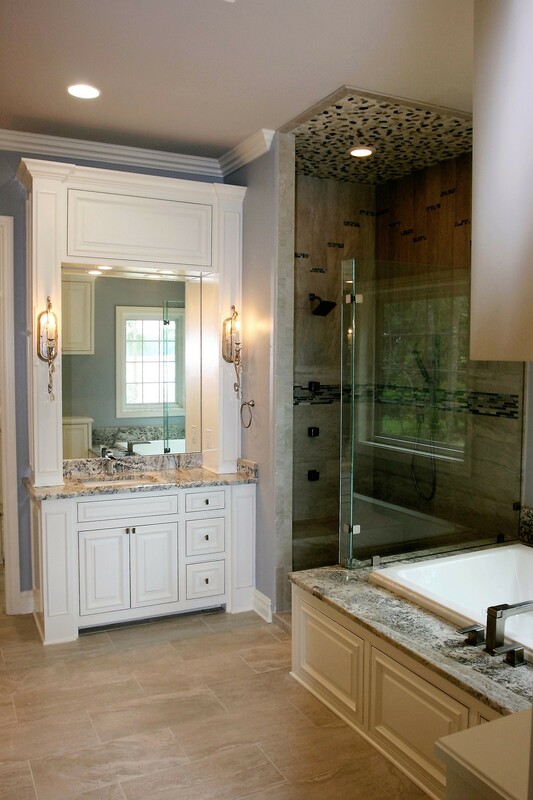 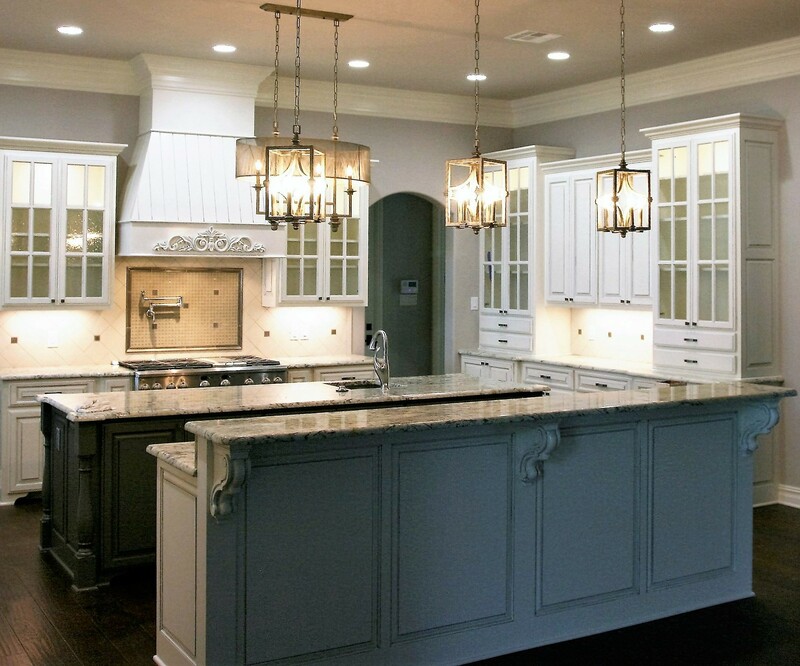 The gourmet kitchen features double islands, custom cabinetry, granite counter tops, and pendant lighting. 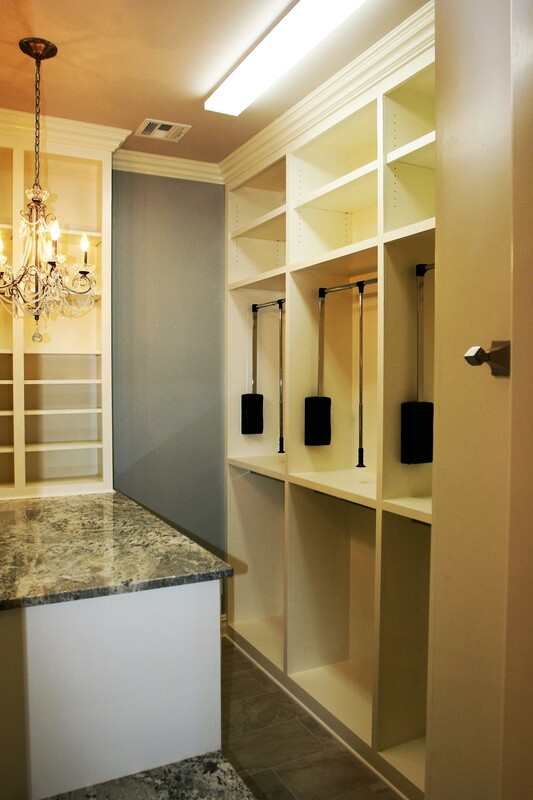 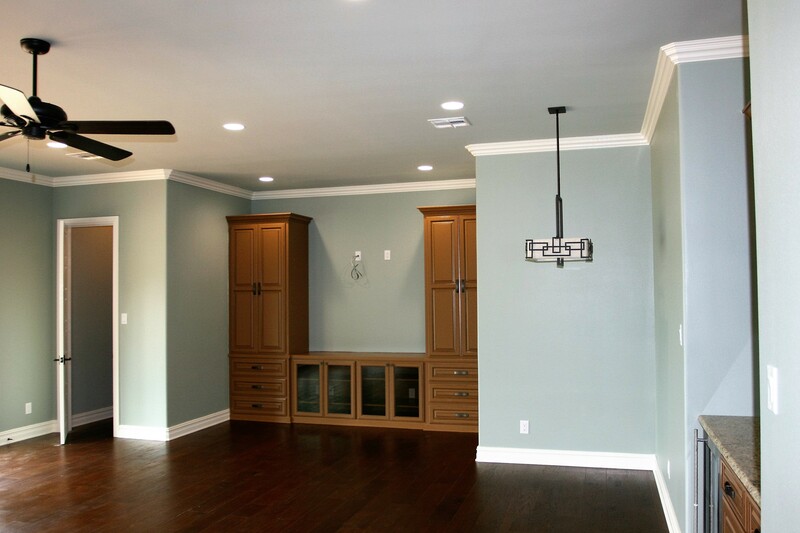 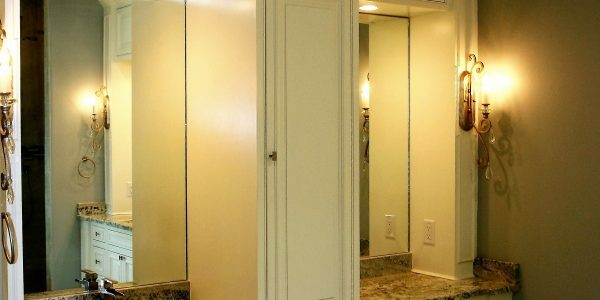 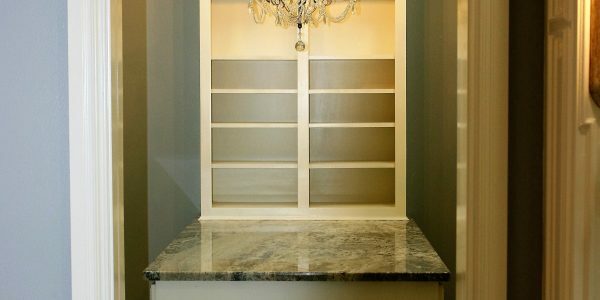 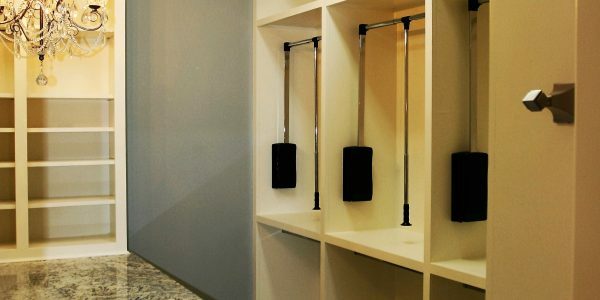 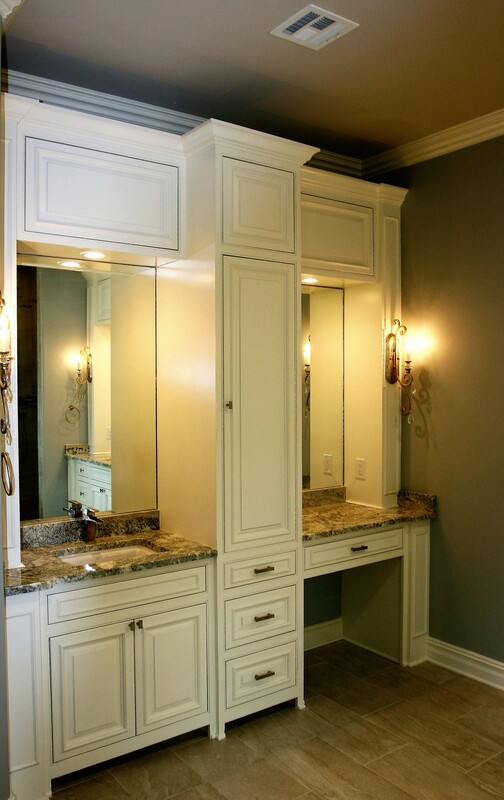 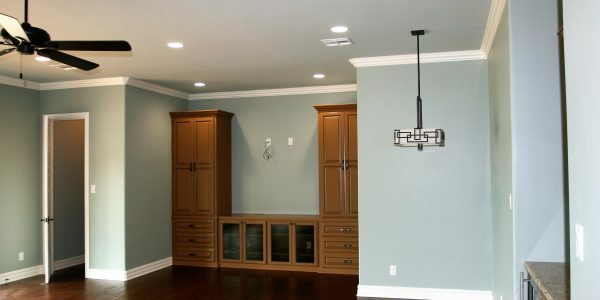 The master walk-in closets are top-of-the-line with custom built-ins and pull down rods. 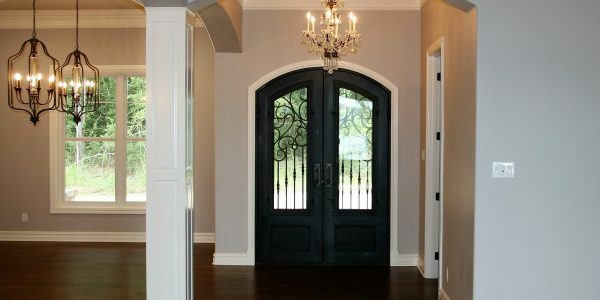 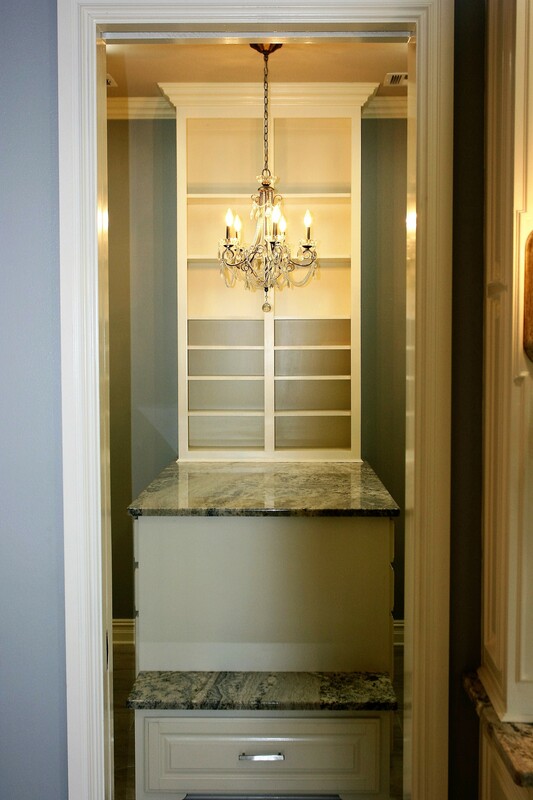 The wife’s closet, however, is the showstopper with a large island and chandelier. 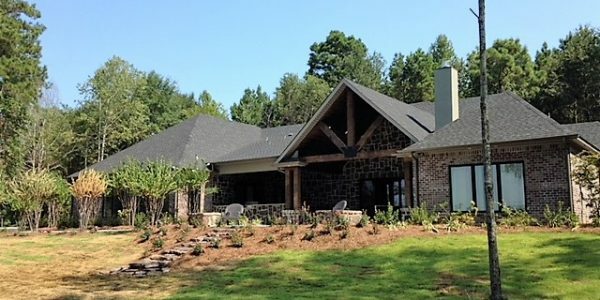 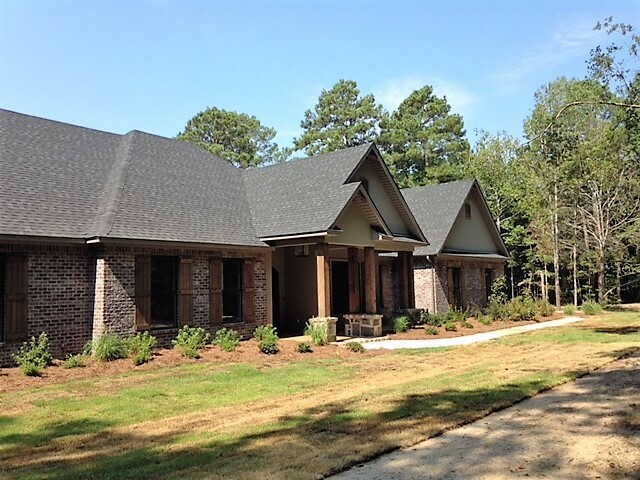 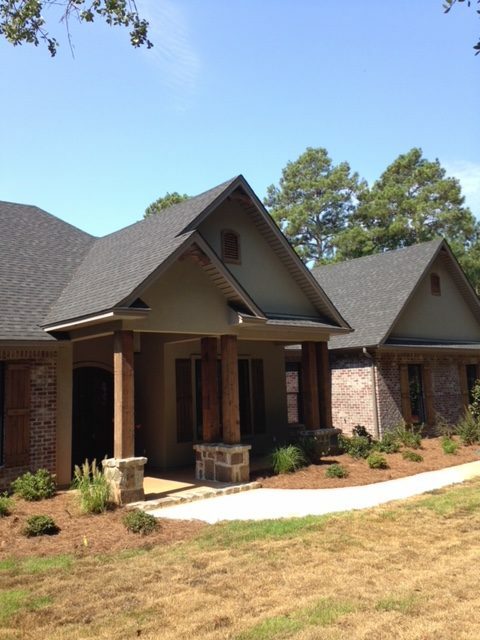 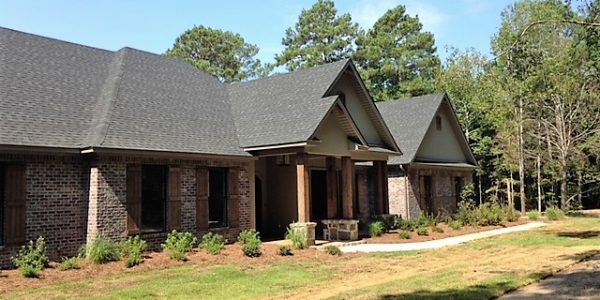 Like many of Flanigen Builders’ homes, this home is equipped with a whole home water filtration system. 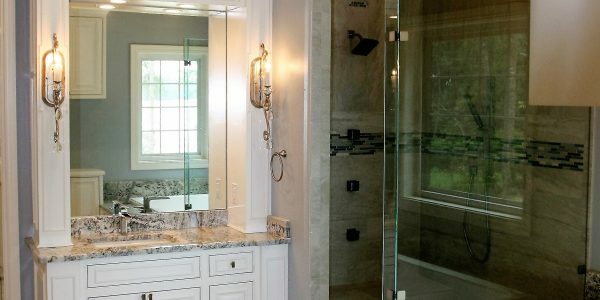 This Environmental Water System (EWS) removes all impurities through a medical grade charcoal filter that only needs to be replaced every 7-10 years. 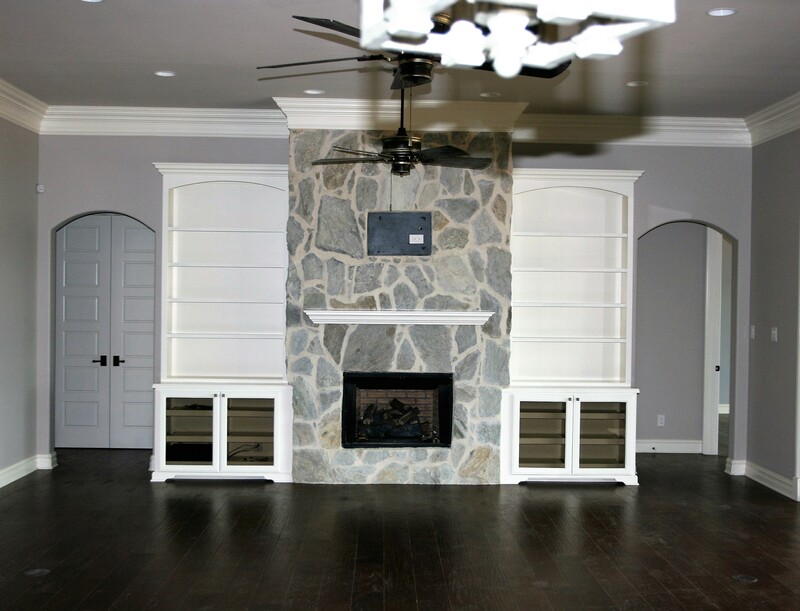 Our clients rave about this product! 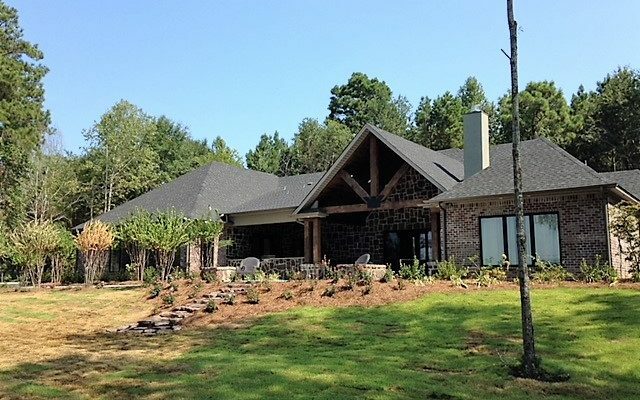 This home takes full advantage of the beautiful lake view with its inviting outdoor living area. 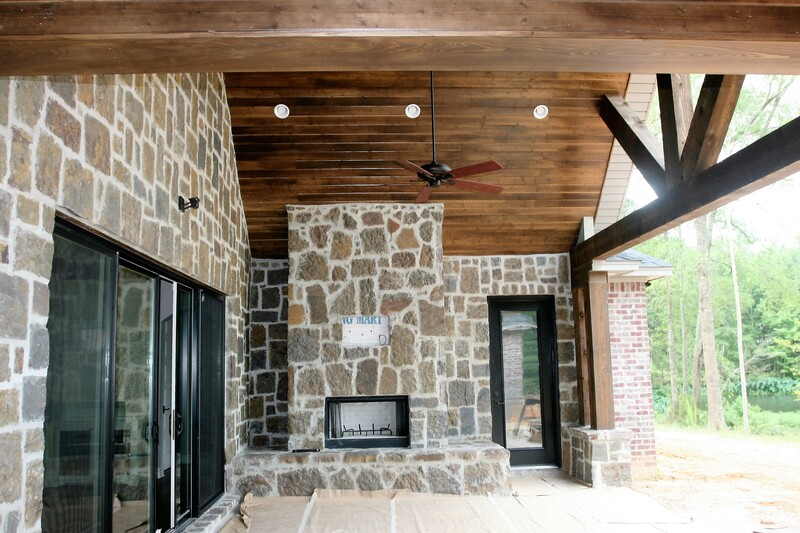 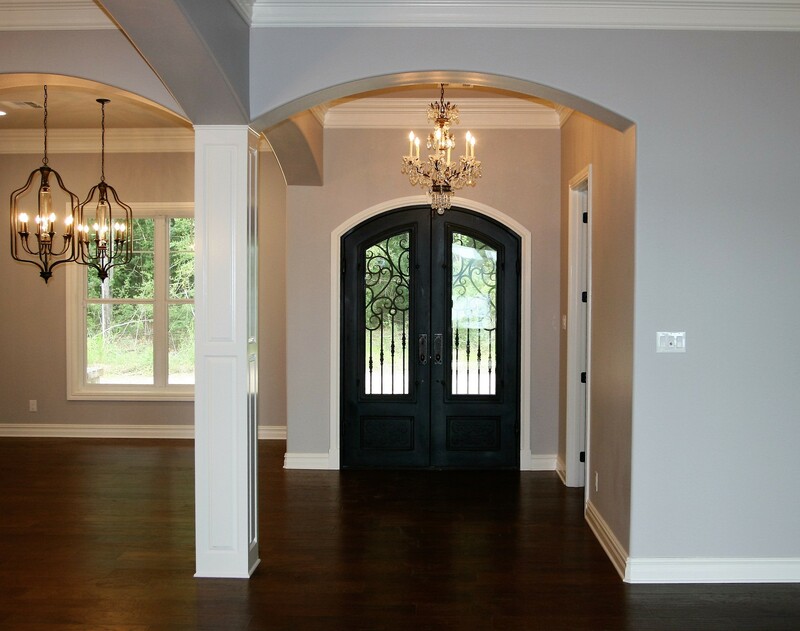 The tongue and groove stained wood vaulted ceilings are accented with large cypress beams. 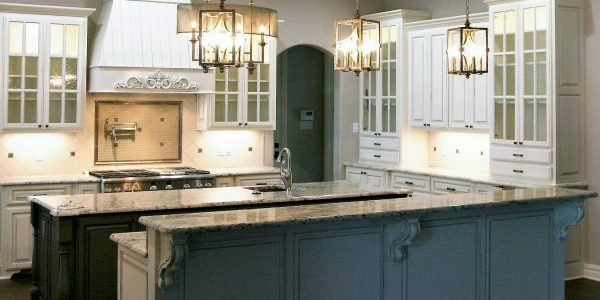 The kitchen area is constructed with cypress and stone and finished off with granite counter tops. 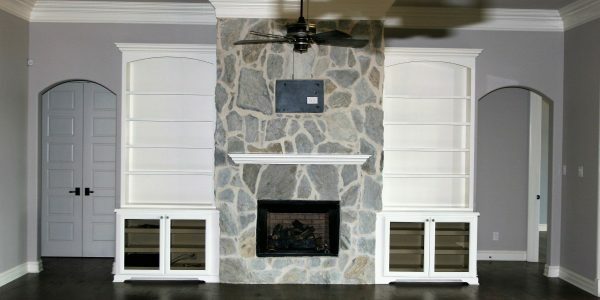 A grand stone fireplace provides warmth and great atmosphere on chilly evenings.